Yay! 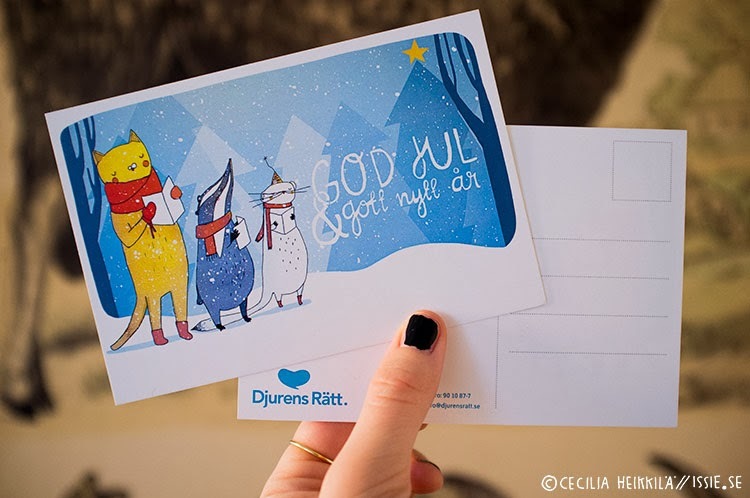 It is here, the christmas card I made for Djurens rätt that will be in their webshop. I am hoping it will be up for sale soon. Got some samples in the mail the other day, and they came out very well. I am excited about being a part of their christmas card collection!